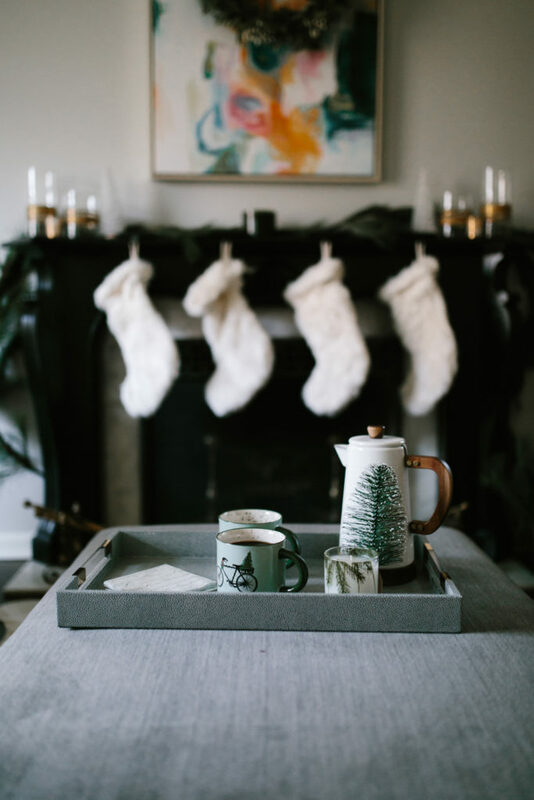 When you are no longer are excited to take out the holiday decorations, it might be time for a change or an upgrade in your decor. That’s how it feels in our house. While our holiday decorations are a wonderful collection of Christmas Santa’s and Nutcrackers with a splattering of faux greens here and there, they lack any real theme. This year, I wanted to change that. I was not necessarily looking to do a complete overall of the house. For one, that is too expensive and too time consuming. I decided to focus on one room that gets the most attention. During the holidays, our family spends a lot of time in the living room which hosts our fireplace and Christmas tree. This is the space I focused on to make a little more magical! I also love the idea of an entire room done in winter white, especially if that room already has bold colors. Truthfully, I may have gone another holiday season with the same decor if it not were for the Hearth and Hand line Target launched this season. It is fabulous! Yet even if their line didn’t launch, Target really does a nice job of bringing out some fun and affordable decor for the holidays. Pottery Barn is also a great resource. I love their collection of plaid pillows they offer each year! 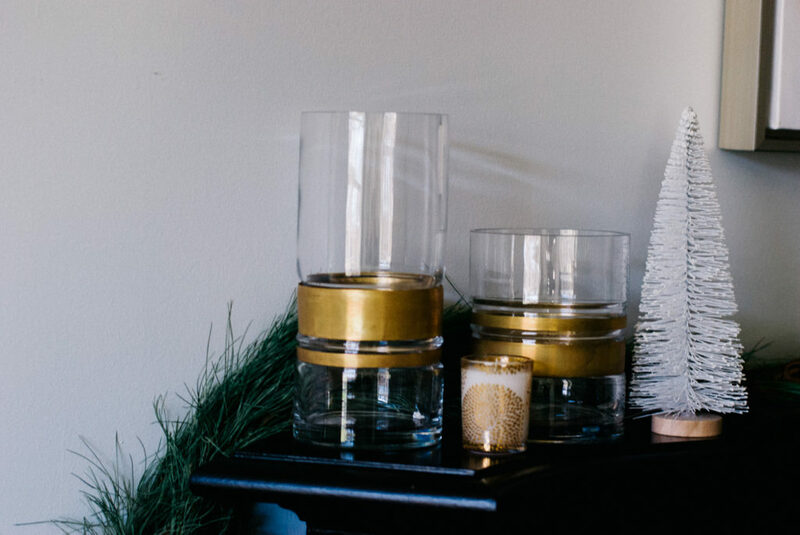 Crate and Barrel usually launches a Scandinavian theme as part of their holiday decor. For an Aspen ski lodge feel, they have a great selection of birch wood accessories. Finally, for fresh greens, Trader Joe’s has the best prices around! Once the color theme was chosen, I wanted to make sure the space was festive and cozy. 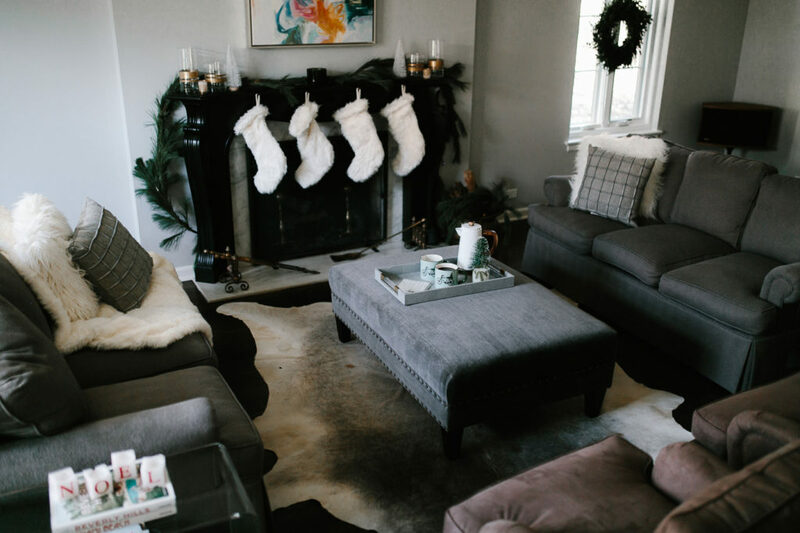 Faux fur is the perfect way to make a room warm and inviting. Target has the best prices on these blankets but Pottery Barn’s are absolutely luxurious. Faux fur or alpaca pillows are another great cozy addition and truthfully, are nice to keep out the entire winter season. To keep with this theme, I added these faux fur stockings that I found at Target. 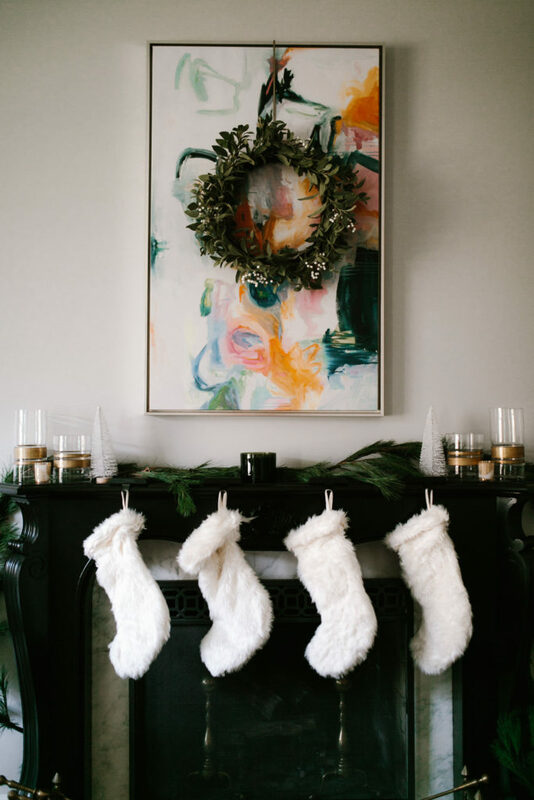 If your space has a mantle, then let this be the focal point of your holiday decor. Options are endless when setting choosing a theme for your mantle! For me, I want simple and chic. I start with fresh garland and then add height to both ends of the mantle. I love these hurricanes I found at Target. Currently I have them empty but I love them idea of filling them with white pinecones. Bottlebrush trees are everywhere right now and they are fun to place on the mantle or thoughout the house! I also need to decide how and where to incorporate our collections. 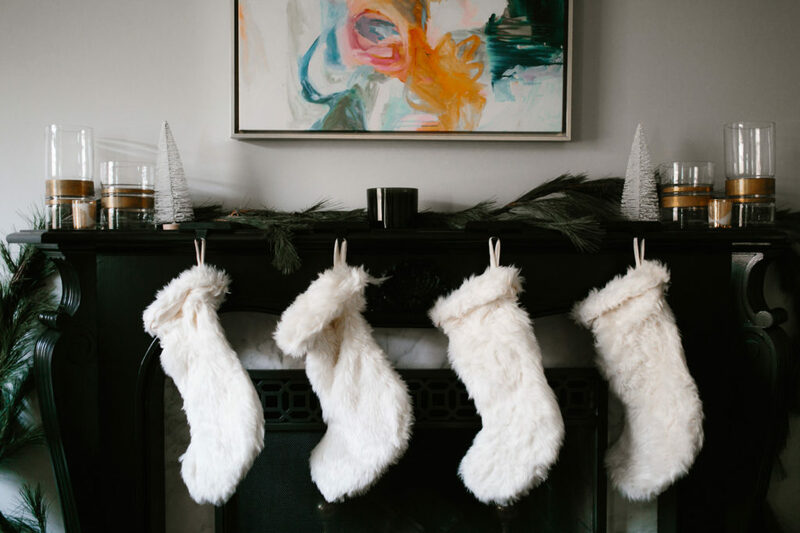 Instead of spreading the Santa’s and Nutcrackers throughout the house, I plan to gather them in one spot such as the dining room buffet or entertainment cabinet in the family room! As mentioned, when upgrading our holiday decor, I found most of my inspiration at Target. For direct information on the products in this post, just click on the images below! Thank you so much April! It’s hard no to go crazy at Target! Of course, you can add my link! Thank you for doing so! What a lovely setup! I love your items, and the festive calm you’ve created in the room. And that pitcher!